11.27mm x 23.26mm / 0.444in. x 0.916in. Hammer Charm by Rembrandt Charms. The height is 7/8 of an inch. You tapped each nail into the wood and were able to successfully build your first shelf. Add carpentry to your skills and celebrate with the Hammer Charm. 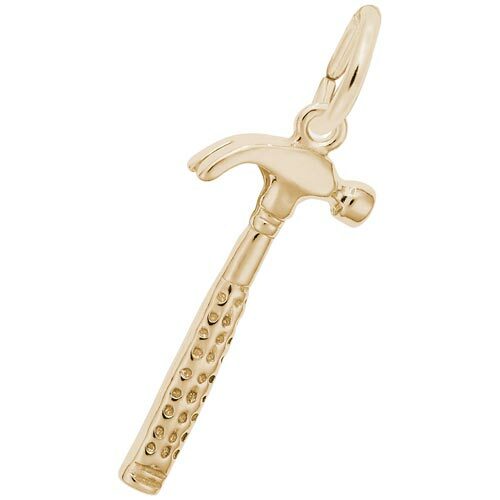 This hammer jewelry can be placed on a necklace as a pendant or will be a wonderful addition as a charm for a Charm Bracelet. All Rembrandt Charms are available in either silver or gold.